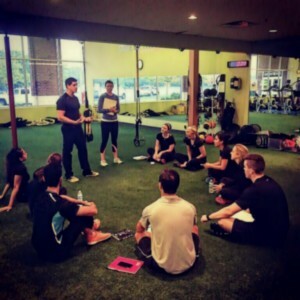 State of Fitness, a premier personal training club in East Lansing, Michigan, is home to many youth and adults, athletes and non-athletes alike, looking to take their fitness and sports performance to the next level. Our internship program hires 10-15 of the state’s most passionate and committed individuals interested in gaining the knowledge and experience to create GREATNESS in themselves and in others. Many of our interns come to us through the Kinesiology department at MSU, and many of our interns are a volunteer. Although we only hire three times a year (early January, late May, and late August), we are always accepting resumes and inquiries. The State of Fitness internship will require a minimum of 2 shifts/12 hours a week, including a mandatory hour-long weekly meeting. This elite-level internship is for serious individuals looking to enter the field of sports performance and personal training. Under the direct supervision and guidance of owner and head trainer, Justin Grinnell, you will have the opportunity to observe and coach a very diverse group of people. Justin has over 14 years and 35,000 hours in training and coaching experience and has mentored over 300 interns during this time. You will leave this internship with the knowledge and ability to immediately begin training and coaching at a high level. Standout performers in this program may be considered candidates for hire at State of Fitness.